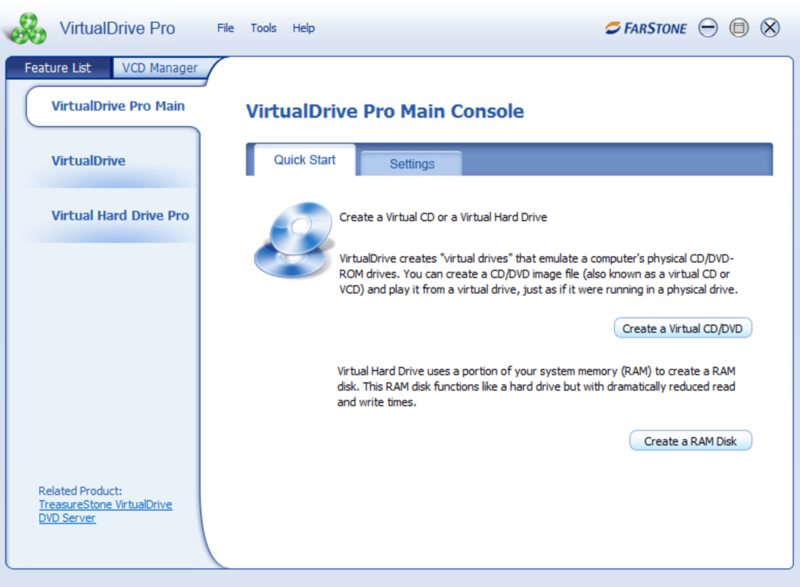 VirtualDrive Pro is a straightforward program to create as many virtual CDs and DVDs as you need. By doing this, you'll be able to play DVDs and CDs without accessing a physical drive. This makes the process much quicker and easier, especially when doing things that need extra speed, such as playing games. 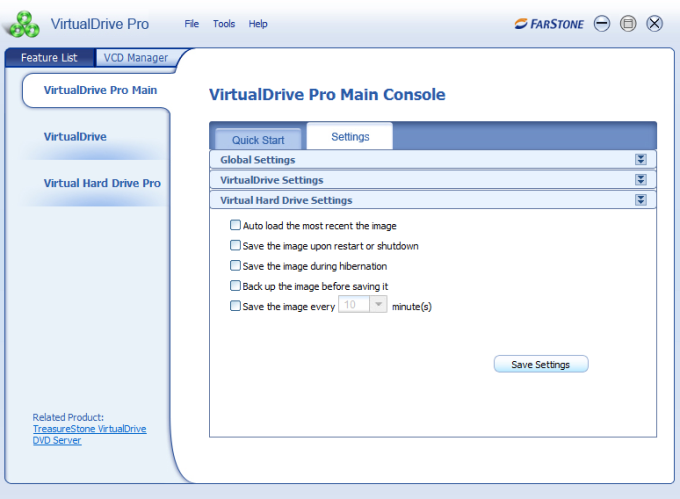 Creating virtual drives with VirtualDrive Pro is very easy. Under the Feature List tab, you'll see a wizard menu with all the options you might need, from creating a virtual drive and cloning a DVD to creating a RAM disk and backing up your computer. The program will then talk you through the process, step by step. 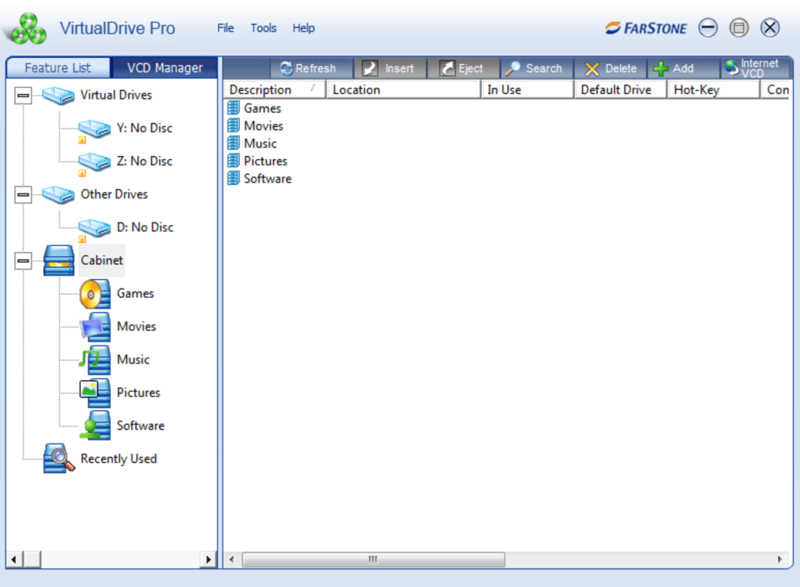 Once you have creating the drives/CDs/DVDs you want, you'll be able to manage then under VCD (virtual CD) Manager. 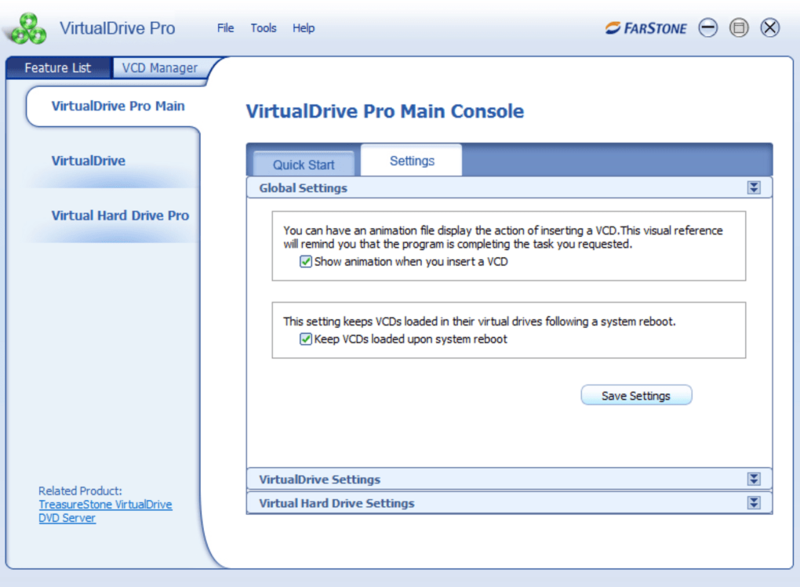 VirtualDrive Pro organizes your data into cabinets, and from here you will be able to manage your files. 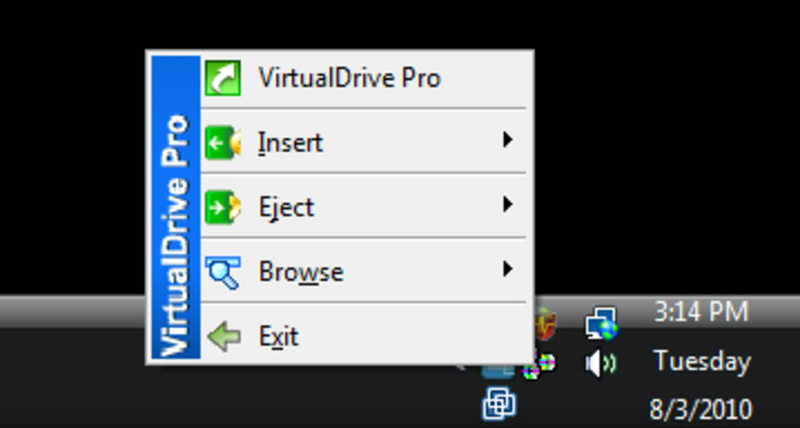 One of the great features of VirtualDrive Pro is that it is able to sidestep anti-copy features on your CDs and DVDs, so even if the discs come with protection such as SafeDisc, SecuROM, LaserLock or StarForce, you still won't have any problems. VirtualDrive Pro is an easy, straightforward way of creating virtual drives. 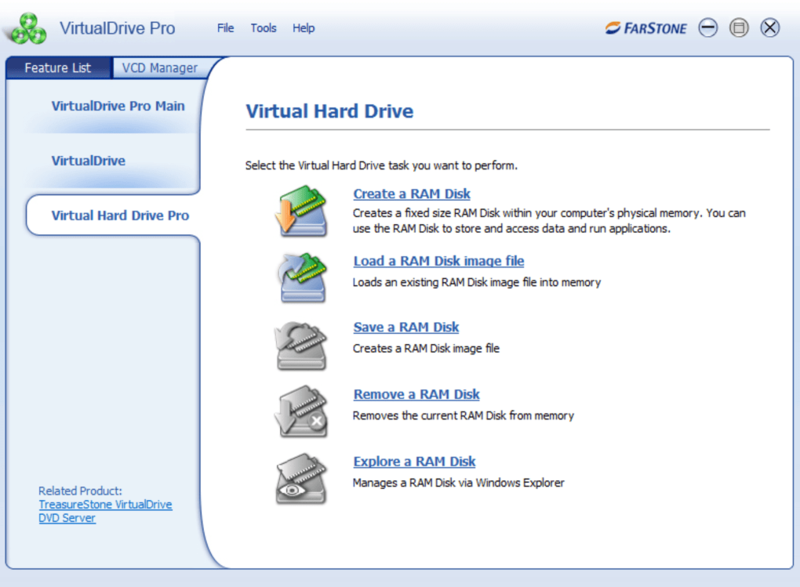 What do you think about VirtualDrive? Do you recommend it? Why?